Welcome to the MSGdish blog! MSGdish is your gateway to important information about glutamate, monosodium glutamate (MSG) and the many culinary creations inspired by “umami.” MSGdish hosts a broad array of information about umami, glutamate, and MSG, as well as tidbits about food, taste, and health. Glutamate, one of the most abundant amino acids in our diet, has been recognized for more than a hundred years for its role in enhancing and balancing the savory taste of food. Also known as “umami,” savory is one of the five basic human tastes, along with sweet, sour, salty and bitter. MSGdish is brought to you by The Glutamate Association (TGA). More information is available at MSGfacts.com. For timely and topical tweets from MSGdish bloggers, follow us on Twitter @MSGdish. This site is designed primarily as an educational resource and should not serve as a replacement for professional medical advice or to diagnose or treat health problems. It does not provide comprehensive information on nutrition nor should it be viewed as an endorsement of specific products. Advice and information regarding your personal health, nutrition and diet are appropriately done only by a qualified health professional. Permission to reprint information in whole or in part contained on this blog is granted, provided customary credit is given. Thanks for visiting MSGdish.com. We welcome your comments. Feel free to post and share your opinions and stories with us – we’d love to hear what you have to say. Please understand that this is a moderated blog. We encourage and welcome your comments and feedback and opinions, provided that you share your viewpoint in a way that is respectful to us and our community, and is not inappropriate, off-topic, abusive, or promoting third-party sites, initiatives or products. Links to third-party sites will not be accepted. All comments will be reviewed before posting. Also, comments that don’t directly relate to the topics covered on this blog won’t be posted. We want MSGdish to be an inviting forum for all those who are interested. The dialogue should be constructive, respectful and always contain appropriate language. We will do our best to moderate and respond quickly to your comments. If you have any questions or comments about this website, please contact us. 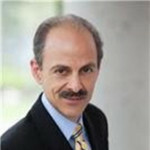 Dr. Keith Ayoob is an internationally known nutritionist and an Associate Clinical Professor of Pediatrics at the Albert Einstein College of Medicine in New York, where he has maintained a clinical practice for more than 20 years. Keith also is Director of the Nutrition Clinic at the Rose F. Kennedy Children’s Evaluation and Rehabilitation Center at Einstein. Keith has worked extensively in the areas of obesity, heart health, child nutrition and family dynamics. He is the author of The Uncle Sam Diet, the first book on the 2005 U.S. Dietary Guidelines for Americans. Keith received his doctorate degree from Columbia University’s Teachers College, his Master’s from the Columbia University College of Physicians and Surgeons, and he completed his undergraduate work at the University of California at Davis. Keith is a registered dietitian specializing in child nutrition and health. For nine years he served as a spokesperson for the American Dietetic Association (now called Academy of Nutrition and Dietetics). He has appeared on many national news programs and is a highly sought after speaker for his practical, consumer-friendly advice on a variety of timely nutrition issues. Keith’s research has appeared in professional journals and he contributes expert opinion pieces to ABCNews.com and USAToday.com. 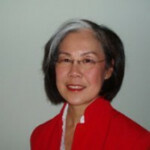 Mary Lee Chin is a registered dietitian specializing in health communications. Committed to providing the public with sound nutrition information, she is regularly consulted by local and national media on nutrition trends and significant health and food issues. 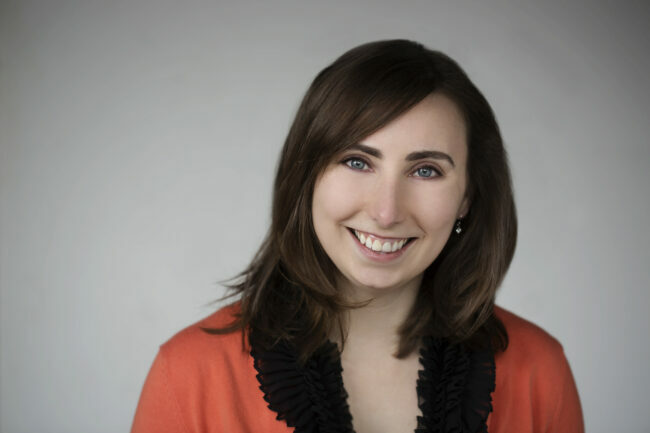 Her company, Nutrition Edge Communications, consults on public relations health initiatives, working to clarify news about controversial nutrition issues and food products. The goal is to provide accurate, science-based information so people can make realistic and wise food decisions. Mary Lee completed her Bachelor of Science degree in Nutrition at Purdue University, and received her Masters of Science degree in Nutrition from Case Western Reserve University. Mary Lee works with commodity food groups and the food industry on nutrition education initiatives. She specializes in translating peer-reviewed research into realistic and practical recommendations, and countering myths and misinformation. Mary Lee speaks to businesses, non-profits and health professionals, and has served as an expert witness on food related issues in federal and legislative hearings. Her goal is to communicate the pleasures of eating well while making wise, realistic and science-based choices. She was recently awarded Outstanding Dietitian of the Year by the Colorado Dietetic Association. 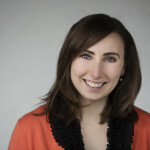 Theresa Hedrick is a dietitian in private practice who specializes in GI disorders and food allergies and intolerances. She is passionate about making nutrition fit within the constraints of the real world. Theresa previously spent years coaching heart patients at Emory University Hospital Midtown through lifestyle changes as well as teaching students at Oregon State University and Georgia State University the basics of nutrition. Theresa holds a Master of Science in Nutrition from Georgia State University and a Bachelor of Science in Food Science from Clemson University. She is a member of the Academy of Nutrition and Dietetics and has served on the Executive Committee of the Dietitians in Business and Communications Dietetic Practice Group and the Board of the Greater Atlanta Dietetic Association multiple times. Theresa is the author of three published peer-reviewed scientific studies, and has written nutrition and technical articles for Food Product Design and GreerNow magazines. She has been featured as a nutrition expert in interviews with Senior Voice America, Spry Magazine, and Mom Talk Radio, among others. Lisa Katic started her own consulting business specializing in communications and public affairs after spending 10 years building a network within the food and nutrition arena. Lisa has a keen understanding of global food policy issues and has worked in different markets including: Europe, Canada, Latin America, and Asia. She represents her clients to the media and has conducted interviews on numerous major news outlets; NBC, CNN and the Food Network to name a few. Lisa is an active member of professional associations, including the Academy of Nutrition and Dietetics, the American Institute for Wine and Food, the Society of Wine Educators, and the French Wine Society. Lisa is not only an expert in health-related matters, she has spent 15 years of her career working in the food and wine business. She earned her wine certification from the Society of Wine Educators and is versed in the culinary arts. She is an expert at pairing healthily foods with wines to maximize the enjoyment of both. Michele Redmond is a dietitian, French-trained chef and “Food Enjoyment Activist” who connects health and well-being to the pleasure of eating. 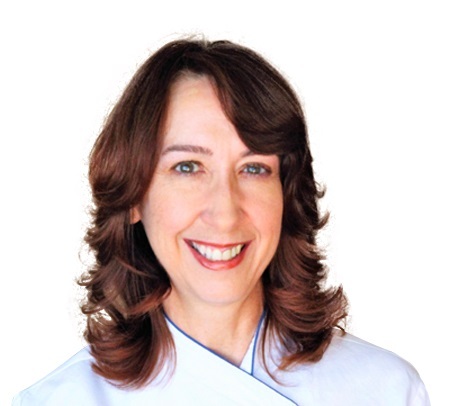 Through The Taste Workshop, Chef Michele teaches, speaks and writes about neurogastronomy, culinary nutrition and how to create a more positive food culture through worksite wellness events, nutrition communication services, cooking classes and taste workshops locally and internationally. She is a contributing writer for Food & Nutrition magazine and blogs about cooking and enjoying food and good health without fuss. 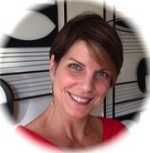 Michele has delivered over 650 culinary nutrition events as a speaker, keynoter, trainer and chef instructor. She chairs the International Association of Culinary Professionals Cooking Schools and Teachers Section and was 2018 IACP Member of the Year. Michele has worked as a caterer, research chef, food consultant and culinary nutrition instructor for culinary schools, colleges, medical schools, hospital systems and as an adjunct chef instructor at Le Cordon Bleu in Paris. Her healthcare background includes directing a medical school’s clinic operations and running cardiac and diabetes education programs and corporate wellness programs. She is a past-president of the Central Arizona Academy of Nutrition and Dietetics and a graduate of ASU, U of A, FSU, Le Cordon Bleu, Paris and the Hautes Etudes du Gout (Institute in Advanced Studies of Taste) in France. Kaye Taylor is an author and consulting nutritionist with more than 15 years’ experience representing clients in the food industry, providing strategic leadership and consulting on meal planning, recipe development, consumer-focused educational materials relating to food and nutrition, science-based communications, and media relations. Kaye’s first commitment to learning more about food preparation was from an excellent teacher of home economics in middle school. In college, Kaye was named a member of Omicron Nu, the National Honor Society for excellence in family/consumer science, during her senior year. Her interest in food, and subsequently nutrition, eventually led her to obtain undergraduate and graduate degrees at major Midwestern land-grant universities that had excellent food and nutrition programs. In addition to her extensive nutrition communications work, Kaye has counseled patients as well as spent time “back of the house” in a variety of operations, ranging from Meals on Wheels, a popular deli, and hospital foodservice. Kaye brags to her friends about winning second place in a national Kraft salad contest. To this day, she refuses to share the recipe with friends and family! Lisa Watson is a scientist by training, with a Master of Science degree in human nutrition and an undergraduate degree in microbiology, both from Clemson University. But she’s spent most of her career in roles that involve the translation of science for public and professional audiences. She’s worked for corporations, nonprofits and trade associations, building partnerships between groups to help find common ground and increase understanding about food and nutrition. 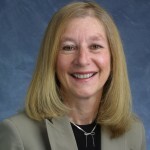 Lisa served as executive director of The Glutamate Association (TGA) from 2010 for over seven years and is currently TGA’s Senior Science Advisor. Lisa is a member of the Academy of Nutrition and Dietetics and an associate member of the American Society for Nutrition. She has published articles and spoken widely before national and international audiences on a variety of topics related to food and nutrition. She is an avid cook, cookbook reader, and consumer of food! Althea Zanecosky is a registered dietitian/licensed nutritionist and an accomplished health education and communications professional. Althea has 30 years of experience delivering nutrition messages to university, professional, and worksite audiences. For over 20 years she has served as the nutrition expert for many local news programs and more recently in social media. Althea served for 9 years as a national spokesperson for the American Dietetic Association (now called Academy of Nutrition and Dietetics). Althea received her BS from Penn State University and MS from Drexel University. 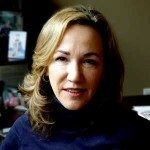 She writes and consults for nutrition education organizations and food companies. For 20 years Althea has contributed bi-monthly food articles for Philadelphia’s largest parent/child newspaper, Metrokids. Althea serves on the scientific board of advisors for Healthy NewsWorks, a program for elementary and middle school students in the Philadelphia area that encourages healthful living by producing accurate and relevant health publications and other types of media. Involved in sports nutrition, Althea is a member of ADA’s Sports and Cardiovascular Nutrition practice group, has served as an adjunct professor of sports nutrition in the graduate school at Drexel University, Philadelphia, PA, and is a long distance runner (completing the Boston Marathon). Althea often attends races with her two adult daughters who also run. Althea enjoys connecting the enjoyment of food with good nutrition. Althea’s husband is an avid gardener, growing almost all the produce she enthusiastically prepares both for their regular dinner parties and for her church’s “Holy Hot Dish” outreach program. Christopher Koetke is Vice President of both the Kendall College School of Culinary Arts and Laureate International Universities Center of Excellence in Culinary Arts. “Chef Chris” was named vice president of the Kendall College School of Culinary Arts in 2012. He joined the School of Culinary Arts in 1998, serving first as a culinary instructor and later as associate dean, dean and executive director. Under his leadership, the School of Culinary Arts was awarded the Academy of the Culinary Arts Cordon d’ Or – Gold Ribbon Cooking School of the Year Culinary Academy Award for 2008. Chris began cooking professionally in 1982, and has worked in some of the world’s finest kitchens. He is a certified executive chef and certified culinary educator by the American Culinary Federation. He is the host of the Emmy-nominated cooking show “Let’s Dish” on the Live Well HD network and co-author of the award-winning The Culinary Professional. Chris earned a B.A. from Valparaiso University and an M.B.A. from Dominican University. He is a member of the board of the American Culinary Federation Foundation Accrediting Commission, the Illinois Restaurant Association Educational Foundation, the International Food Editorial Council, and the National Restaurant Association. Important Disclosure: Our consultants and expert advisors are professionals who are extremely knowledgeable and considered to be experts with regard to food and nutrition. They have established their careers in science-based nutrition communications and have served as advisors and expert consultants for the food industry in general, and for specific food companies. They have been compensated for their time in writing for this blog but their statements and opinions are their own. The MSGdish bloggers have pledged to Blog With Integrity, asserting that the trust of their readers and the blogging community is vitally important to them.